For the typical American kindergartner, unstructured free play during the school day consists of 20 to 30 minutes of recess, and perhaps some time at indoor "stations" -- perhaps creating with building blocks, costumes, or musical instruments. But what if there was more? What if the answer to "what did you do in school today?" was, “I climbed a tree, played in the mud, built a fire”? With many parents and educators overwhelmed by the amount of academics required for kindergartners -- and the testing requirements at that age -- it’s no surprise that the forest kindergarten, and the passion for bringing more free play to young children during the school day, is catching on stateside. 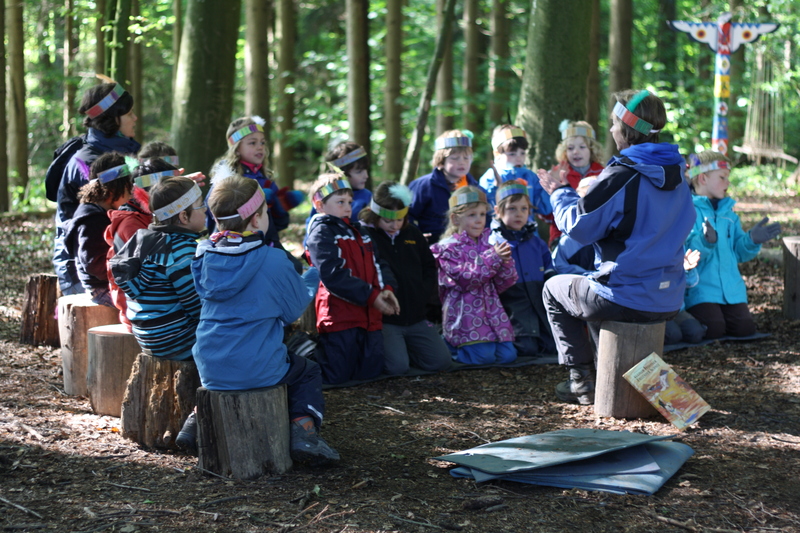 Free play and inquiry learning are the cornerstone of Canada’s new all-day kindergarten program; forest kindergartens are popping up in Washington state, Vermont, and even Brooklyn. 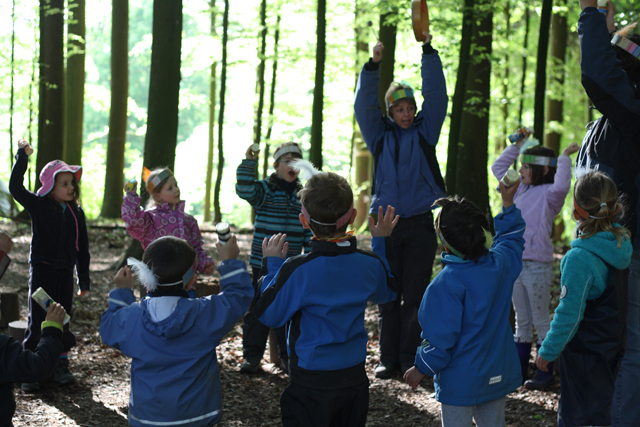 At the Waldkindergarten, which takes place in the middle of the woods in Langnau am Albis, Switzerland, dotted with several handmade structures like a rudimentary wood shelter where children and teachers gather around the fire, children play, often away from teachers' view. 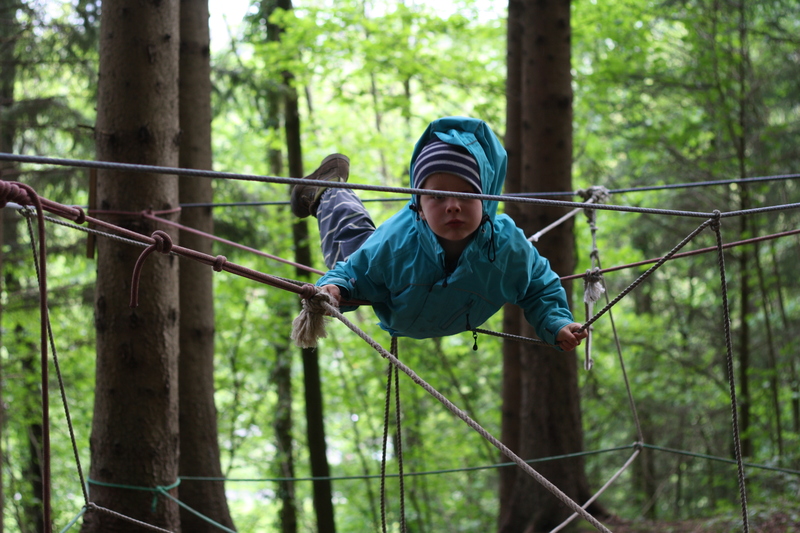 These scenes are captured in “School’s Out: Lessons From a Forest Kindergarten,” a documentary directed by Lisa Molomot. 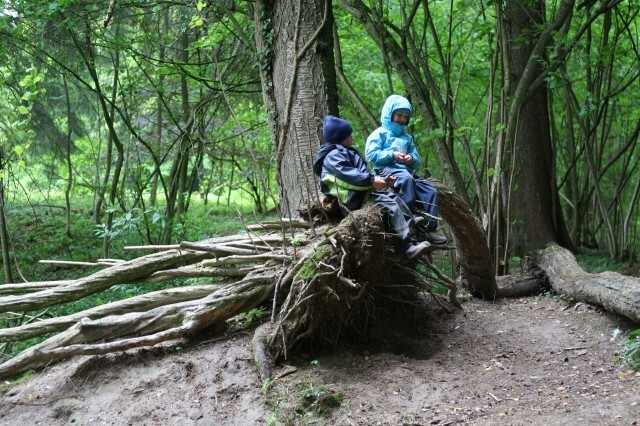 In the 36-minute film, Molomot and producer Rona Richter show scenes from two public schools: the outdoor forest kindergarten in Switzerland and a more typical American kindergarten in New Haven, Connecticut. The camera watches as a group of unattended children in sturdy coats and galoshes roll down a tall, muddy hill over and over; in another scene, a group of children help cook a popcorn snack over an outdoor fire, getting close enough to the open flame to add logs and poke the fire with sticks. “It’s a full day, a lot of transitions,” teacher Ann Donnery tells the camera dryly. Donnery notices that the gross motor skills of many of her kindergartners are underdeveloped, noting that usually means that fine motor skills are also lacking. “Developing those gross motor skills is just critical, can impact so much of later learning,” she said. It’s nearly impossible to watch School’s Out and not be convinced that our youngest students need more free play than they are currently getting. 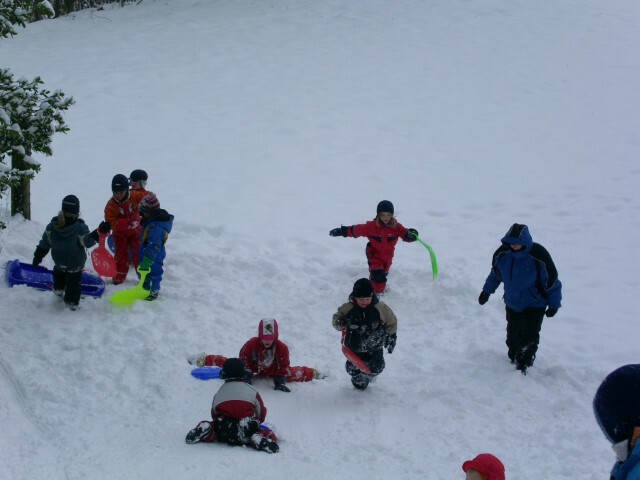 But for most urban and suburban schools, how to incorporate the kind of free play found in Waldkindergartens can be confounding, or even not a particular priority when so much else must be accomplished to meet standards and markers of success. Charlie Friedman, Founder and Head of School for the Nashville Classical charter school in Nashville, Tennessee, just finished the school’s introductory year with 96 kindergartners. The school focuses on a Core Knowledge curriculum, and Friedman said they had “clear lines in the sand” about what the children needed to know by the end of kindergarten. Friedman’s kindergartners attend school from 8:00 until 4:00, and receive 30 minutes of recess per day inside a fenced play area containing monkeybars, slides and a grassy open area. Nashville Classical’s kindergartners also receive 30 minutes of physical education every day, and teachers use a kinesthetic instructional style and try to incorporate movement into many of their lessons, often using singing, chanting and movement to help children remember the information they are learning. (There's evidence to show why this is important, too.) 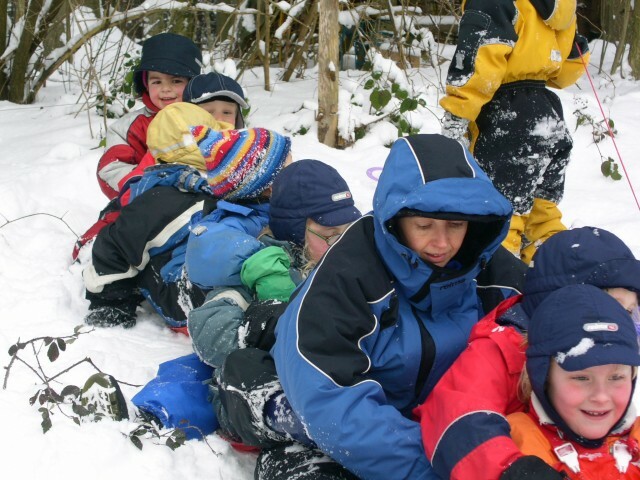 While this kind of adult-led movement is a far cry from the nearly unstructured free play of a forest kindergarten, it does serve the school’s purpose of high academic standards for their kindergartners, in hopes this prepares them for future academic success.